Veteran of Starwood Hotel Group and Sabre Holdings, current tech entrepreneur Navodit Srivastava appointed Vice President of HSMAI Asia-Pacific Region. The Hospitality Sales & Marketing Association International (HSMAI Asia Pacific) announces the appointment of Navodit Srivastava to the Asia Pacific Team. This important addition to our team will allow HSMAI to grow membership and partnership programs and to continue to deliver quality initiatives to hospitality sales, marketing, and revenue optimization professionals. “The demanding times and industry pressures require us to offer more value for our members and more resources for our chapters, which this team is positioned to deliver with their passion for excellence and their experience in hospitality,” said Jackie Douglas, President, HSMAI Asia Pacific. “An ex-hotelier and nearly 20-year travel and consumer industry native, Navodit believes HSMAI is perfectly poised to serve APAC hospitality professionals’ rapidly evolving technology and training needs in these times of increasing competition and disruption”. Navodit will take on the important role of business development for the association in the Asia Pacific region. This involves growing our partnership, membership and educational products to allow us to assist hoteliers in a wider geographical area. Asia Pacific is a huge region and we have only just touched the region, we need more staff to help us grow our offering in the hotel industry in the region. Encompassing the two largest countries, India and China and with such a diverse range of cultures, there is never a moment to stand still at HSMAI. Navodit Srivastava, Vice President HSMAI Asia Pacific, is a Certified Professional Marketer (CPM ASIA) from Asia Marketing Federation (AMF), Electronics Engineer and a Six Sigma Green Belt. Navodit is a seasoned Sales and Marketing professional having APAC wide experience of close to two decades spanning across major brands in Consumer Electronics-Retail/E-Commerce, Hospitality, Technology and Online Travel Industries. Navodit’s vision is to create business that will impact millions of people and make their lives better. “How are sales activities today different from the way they were organized 10 years ago? The world of sales has changed 360 degrees. Customers don’t want to spend 40 minutes telling you about their problems and then you will tell them if you can help them. Plus social media has changed the sales landscape. I think a lot of aspects of selling have changed but there is a fundamental thing that has happened which is that buying has changed as well and, if you think about it, consumers are just fundamentally better informed and more empowered. The empowered and informed consumer has got their own journey and your job as a sales person is to meet them on their journey and propel them and work with them towards a final sale. It’s a very different beast. The buyer-seller relationship is extremely different than what it was 10 years ago. The Sales of today is about being more consultative, it’s more understanding how this fits with the consumer, and to the extent that you can connect what you have to sell with the consumer’s existing journey then you will have success. As Sales people we need to “Un-learn and Re-Learn” all the time and going ahead in future this will be a new normal to progress and understand forthcoming generation customers. I was introduced to HSMAI a couple of years ago during my Sabre days by Frank Trampert, MD/COO Sabre Hospitality in APAC, I was tasked to attend the ROC and meet people. That very day I had almost 50 conversations with Industry professionals and I thoroughly enjoyed it. I then got connected to Jackie (President HSMAI) trying to work out a partnership for Sabre Young Professional Council members as I was leading the Sabre Chapter in Singapore. Later when I joined Expedia I continued to contribute to HSMAI by being a Speaker at ROC and working on building academic course for hoteliers. Over the past two years, I have felt a connection with HSMAI and our Passion aligns to contribute to the growth of the hospitality industry in all possible ways. When I was offered the position of Vice President Asia Pacific along with serving the APAC Advisory board, it was a natural acceptance. It will bring me closer to the hospitality Industry and I will be in a better position to expand HSMAI in the region and contribute to our Industry growth via HSMAI Events, CXO Round Tables, Education Series, Academy Learnings and more. My First priorities with HSMAI will be to build Strategic Partnership Alliances in the region to be able to support HSMAI initiatives in APAC and building the new HSMAI India Chapter. My strength is my flexibility to handle change and manage diversity. Asia Pacific is the most diverse region globally with numerous cultures, dialects and business environment differing in each country. Having worked across various Industries and leading diverse teams I have been able to navigate the region and have built successful businesses and partnerships in various companies that I have worked. Being an Entrepreneur, I have a mindset that is drawn naturally towards opportunities, innovation and new value creation. I will contribute strongly to HSMAI in APAC by building a network of alliances and expanding HSMAI to various countries in the region to help and grow the hospitality network and professionals. HSMAI Asia Pacific is the industry’s leading advocate for intelligent, sustainable hotel revenue growth. HSMAI is an individual membership organisation comprising more than 7,000 members globally with a presence in the Americas, Asia Pacific, Europe, Brasil and the Middle East. HSMAI Asia Pacific’s mission is to be the leading source of information, tools, insights, business development, and educatio for professionals in the hospitality industry. With a strong focus on education, HSMAI has become the industry champion in identifying and communicating trends in the hospitality industry while operating as a leading voice for hotel sales, marketing and revenue management disciplines. Activities in the region are held in Singapore, Hong Kong and mainland China, Indonesia, Thailand and Australia. For additional information, refer to our website at www.hsmaiasia.org or our HSMAI Academy portal at https://hsmaiacademy.org. Follow us on Twitter @hsmaiasia or Facebook or join our LinkedIn group at HSMAI Asia Pacific. 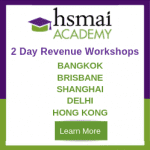 The HSMAI Revenue Optimization Conference (ROC) is held annually in Singapore or Hong Kong. ROC is the industry’s essential resource for the information and best practices your hotel needs to master Revenue, Distribution & Pricing and help you deliver the highest return. The program is created by HSMAI’s Revenue Advisory Board, which comprises of the heads of Revenue & Distribution for local and global brands in Asia Pacific. The program is designed to bring you up to speed on the latest trends, and issues and help you plan your revenue and distribution strategy. This is an event organised by Hospitality Sales & Marketing Association International – Asia Pacific Region (HSMAI). 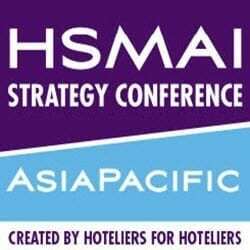 The HSMAI Strategy Conference is held annually in either Bangkok, Indonesia or Singapore. The HSMAI Strategy Conference is the industry’s essential resource for the information and best practices your hotel needs to succeed in Revenue, Digital, Sales and Distribution. The program is created by senior hoteliers and designed to bring you up to speed on the latest trends, and issues and help you plan your strategy and get the budget you need to execute the plan!